The VA1251 is a 0 to 1800 bps, full-duplex modem designed for 4-wire leased lines and 2-wire half-duplex applications, as well as multidrop and point-to-point environments. The modem is strapped for 4-wire operation, but is easily converted to 2-wire operation in a few minutes. The VA1251 is compatible with the Bell 202 family, but does not support reverse channel operation. Multi-drop operation is available when optioned in 2-wire or 4-wire configurations. The VA1251 utilizes modem digital and analog technology to achieve the highest performance and reliability. With low power CMOS components, automated manufacturing techniques, and computer-controlled testing, you are assured a quality modem with long-term stability. The VA1251 comes in high-quality, low-profile housing designed to complement any office environment. The VA1251 incorporates application knowledge gained by Racal-Vadic. This knowledge, in the form of switchable options, is easy to use. A variety of options in the VA1251 allows you to maximize system operation throughput without loss in performance. For example, a special high impedance option eliminates the need for expensive bridges in Multidrop systems. In addition, you can quickly change the functional operation of the VA1251 with the flip of a switch, allowing the modem to change along with your systems and terminals. The VA1251's extensive interface display, coupled with the local analog loopback, remote digital loopback, and forced Request To Send (RTS) features, make it easy to isolate a problem. The VA1250 is a 0 to 1200 bps, half-duplex modem designed for dial-up applications or 2-wire leased-line connections. The VA1250 has a voice/data/manual switch on its front panel so the modem can be operated in conjunction with a standard telephone set. This feature eliminates the need for a special exclusion key on the telephone and allows the operator to manually originate or answer a call, as well as use the telephone for normal conversation. The VA1250 is as easy to use as an extension telephone. You just plug it in. The modem is approved by the FCC for direct connection to the telephone line and uses the RJ11C telephone jack, the same as a standard telephone. The VA1250 comes in high-quality, low-profile housing designed to complement any office environment. The VA1250 incorporates application knowledge gained by Racal-Vadic. This knowledge, in the form of switchable options, is easy to use. For example, half-duplex modems do not have the luxury of "carrier off' and "abort" disconnect options. However, the VA1250 incorporates a "Line Current Disconnect" option for unattended operation. The options available in this modem reduce the problem of early obsolescence. The VA1250's extensive interface display, coupled with the local analog loopback and forced Request To Send (RTS) features, make it easy to isolate a problem. The 1250-PX includes a telephone cable with RJ11C connector for dial-up connection. The 1251-KX modems include a telephone cable with spade lug connectors for leased line connections. The 1244-PX includes a dial-up telephone cable with RJ11C connector—P/N 15027-004. For optional 12VDC, 24VDC or 48VDC power supply indicate after model number (ex. 1250-PX, 12VDC). The 1681C, 1680 and 1604 chassis handle a wide variety of dial-up network applications. The chassis accommodate Bell 202, 201 and 208 modems, full and half duplex, asynchronous and synchronous, dial-up and leased line. The chassis also accommodate the following accessory cards: the 811 single and multiline Bell 801 dialer and the 831 RS-232-D to RS-366 adapter. The 1681C, 1680 and 1604 offers front panel control of all equipment in the chassis. You can monitor channel traffic with status LEDs that warn you of malfunctions. EIA signals can be displayed for each modem. Front panel switches activate the modem's built-in diagnostics, allowing you to isolate and test local and remote modems, telephone lines, terminals and computer interfaces. Individual busyout and analog loopback switches enable you to take modems out of service for testing. The 1681C occupies 10.5 inches of rack height. The 1681C is also self-cooling, so you can stack up to seven chassis in a standard 7-foot high cabinet. The 1680 occupies 7.0 inches of rack height and will stack up to ten chassis in a standard 7-foot high cabinet. The 1604 is a 4 slot, self contained, standalone desktop unit for remote site applications. This chassis is ideal for organizations whose call traffic doesn't require a full complement of 16 modems, and is more efficient from a cost and operations standpoint than a configuration using multiple external modems. The 1604 houses four single-slot modems, or two dual-slot modems, such as the 4840-PX or any combination of modems and accessory cards. 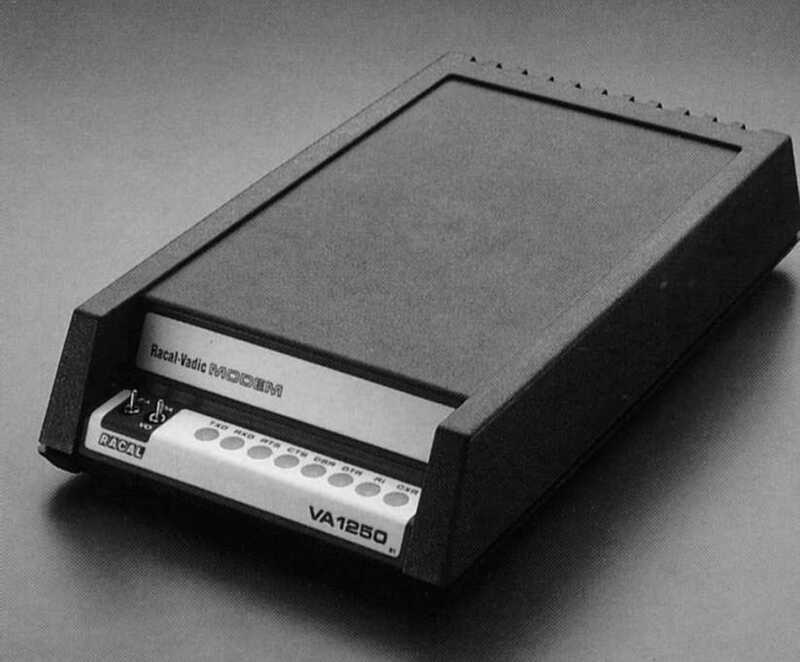 All modems, auto-dialers and accessories that mount in the 1681C are also compatible with the 1604. The user-friendly front panel has LEDs that display line, power, EIA interface and test status. Switches allow you to control channel select, test pattern generation and remote and local loopbacks. The 1604 also has a built-in power supply with a switch to select either 115 or 230 volt AC operation. Dimensions 1681C: Height: 10.5"; width: 19.0"; length: 15.0"; weight: 30 lbs. 1680: Height: 10.5"; width: 19.0"; length: 15.0"; weight: 19.25 lbs. 1604: Height: 4.81"; width: 9.0"; length: 15.0"; weight: 10.5 lbs. The 1681C chassis includes a removable 110VAC power supply P/N 94200-055. The 1680 chassis includes two removable 115/230VAC power supply P/N 94200-026. The 1604 chassis includes an integral 115/230VAC power supply.